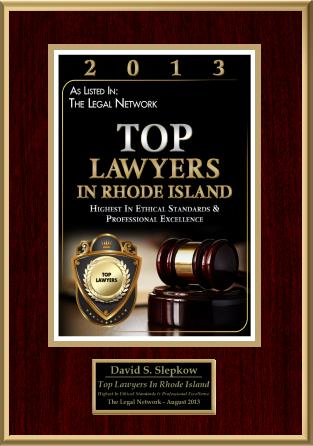 Victims of a car accident in Rhode Island suffer all types of injuries depending on the severity of impact and circumstances surrounding the collision. 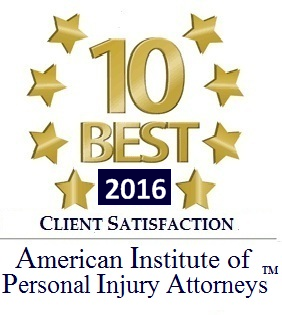 Common types of injuries from a RI car accident are gleaned from personal injury insurance claims and lawsuits. Statistics from the NHTSA (National Highway Traffic Safety Administration) indicate that over 3 million individuals nationwide suffer injuries from car accidents every year. Medical professionals in emergency rooms handle specific types of injuries including those that were made by impact or penetration. Impact injury is usually caused when the victim’s body is hit with some component from the car’s interior. This can include impact from the steering wheel, side window, airbag, or other passenger. Alternatively, a penetrating injury usually involves cuts and scrapes. This can be the result of being hit with loose objects or shattered glass acting as a projectile inside the vehicle. • Head injury and TBI – Injury to the head is often a debilitating and life-threatening wound. Many victims suffering of violent impact to the head often deal with TBI (traumatic brain injury). Other injuries to the head can also cause significant problems, especially when the victim takes a severe blow to the face. Many times, the collision causes the brain to be jostled or moved inside the skull upon impact, which can lead to brain swelling, bleeding and bruising. Head injuries are not always obvious. • Spinal Cord Injury – The spinal column can easily suffer severe damage in a car accident when ligaments, disc material and bone fragments tear or bruise the tissue of the spinal cord. The injury can easily destroy axons, which are delicate nerve cells that transport signals to and from the brain. Many times, a spinal cord injury will result in paralysis, or sensory loss of feeling and function. 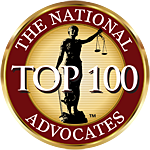 • Nerve Injury – Strain on the neck, whiplash and other neck injuries are common occurrences in vehicle accidents involving a rear end collision. Severe neck injuries can lead to cervical dislocation requiring extensive surgery, rehabilitation or chiropractic care. • Back Injury– The brain can become strained or sprained in a car accident, where the victim suffers fractured vertebrae and herniated discs. Severe injuries can limit mobility and cause extensive pain. Many times, back injuries can take days, weeks or months to appear or develop after the accident, causing lifelong discomfort while limiting mobility and range of motion. • Facial Injury – Injury to the face is a common occurrence in a vehicle accident due to the close proximity to the dashboard, steering wheel, windshield, airbag and side windows. Minor injuries might include bruises and scrapes, where more severe problems involved facial bone fractures, lacerations and dental injury. 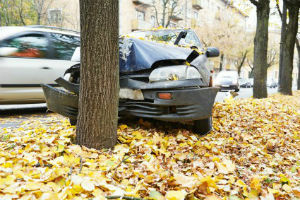 In addition to physical injuries, many individuals also suffer psychological injury when involved in a severe car accident with physical damage or loss of life. Victims often deal with depression, persistent anxiety, PTSD (post traumatic stress disorder) and emotional distress.